It was a battle against the winds this morning on my fartlek run. 10 min warm up, 15 x 1min sprints (with 2 min jog btwn each), 5 min cool down. They say the winds could get up to 75-85 mph tonight. Insane! I’ve been focusing on the 5K because I really want to go sub 20 this spring. 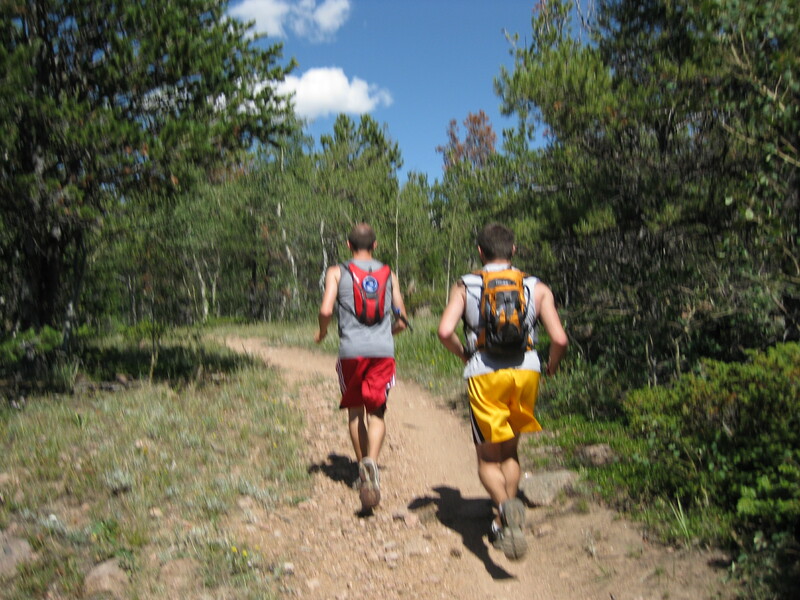 But one of my 26 Before 26‘s is to run a trail race… and the Medicine Bow trail half is perfect. It’s close (3 hrs north), I’ve run on the trails before, and my brother lives in Laramie so we can make a weekend out of it. Plus, my bro is running the trail double marathon that same day (in preparation for the Leadville 100 he’s doing this summer) so it’ll be fun! I really enjoy having races to look forward to. Helps keep me motivated and gives my training a purpose. I’m signed up to volunteer a few races this spring as well, which I’m really looking forward to. Should be a good spring! What’s on your race schedule for the spring? Which would you pick: trail race or big city road race? How’s the weather right-now where you live? Wow, you guys have a full schedule! I’m signing up for the Color Run in DC in September to motivate me to get back into running. LIGHTBULB – YOU SHOULD COME. I’ve heard of these “color run” things and they sound SO FUN. What a great way to motivate yourself back into running after the baby is born! Any day now! Yaayy!! What a great schedule! I know you will go sub 20! It’s pretty stinkin windy down here in h-ranch too! Looks like a good schedule Erin!! For spring I still have two half marathons – one in March and the other at the beginning of May! I would probably pick a big city road race because I haven’t done much trail running at this point. It is supposed to be 57* here today in southeastern Massachusetts. It was about 48* when I left the house this morning! I’ve never done a trail race, but really really want to. Hopefully this summer I’ll do it. Your brother should do a guest post on his training! Do the trail half marathon with us in May! :) Ooohh that’s a good idea… I’ll ask my brother if he’d like to do a guest post!